Do you have flood problems in your home or live in constant fear of your basement getting filled up with water after a heavy downpour? Then you need not worry because such problems are what these best sump pumps were designed for. 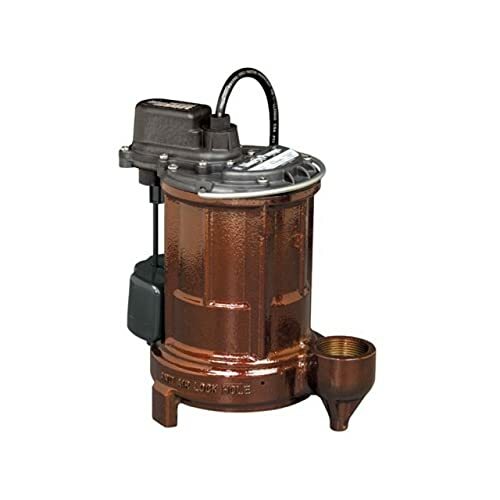 These sump pumps have the working strength and performance capabilities to keep your basement and home in general dry. These best sump pumps come in different sizes and are budget friendly. There is no need to keep your home at risk of flooding when you have sump pumps that work tirelessly to protect your home. Invest in these sump pumps and live in peace like your next door neighbors. This is the most important feature on any sump pump. As a matter of fact, it is the number one feature people look out for in sump pumps. In simple terms, the power of a sump pump is the amount of energy required to mechanically move fluids. In other words, the force it takes to pull a fluid over a defined distance at a period of time. When it comes to rating the power of sump pumps, two major things come to play; the horsepower (HP) rating of the motor and the gallon per hour (GPH) of the pump which relates to the pumps capacity. Ideally, for a basement waterproofing system, it is best to install a sump pump that comes with a motor HP rating of 1/3 or more. This sump pump comes with a motor horsepower rating of 1/4. It comes with a maximum flow rate of 1800 gallons per hour (GPH). This Zoeller M98 pump comes with a 1/2 horsepower rating accompanied by a maximum flow rate capacity of 4320 gallons per hour (GPH). ​This Liberty pump comes with a 1/3 horsepower rating and can give a maximum flow rate of 50 GPM which is equivalent to 3000 gallons per hour (GPH). The exterior casing of the pump or what is generally known as the housing material is yet another feature to consider. There are three main housing materials used in the construction of these pumps; plastic, steel, cast iron. In some cases, these three materials are used in combination with one another. The material used is directly related to the price of pump. For this reason, it is understandable to see the cast iron as the most expensive of the three and the plastic as the cheapest. Putting cost aside, the housing material used tend to play a major role in the overall service life of the pump. By nature of the working principle of a sump pump, heat is generated overtime as the motor operates. If your pump would run for longer hours, you may want to consider a housing material that can withstand a whole lot of heat. Plastic, as we all know it, is easily susceptible to damage with increasing temperature. While steel can hold its own weight in high temperature, it's not even as close as the ever reliable cast iron. Not only is the cast iron able to withstand and dissipate heat easily, it's also able to withstand rust and corrosion. This gives the pump a longer service life. 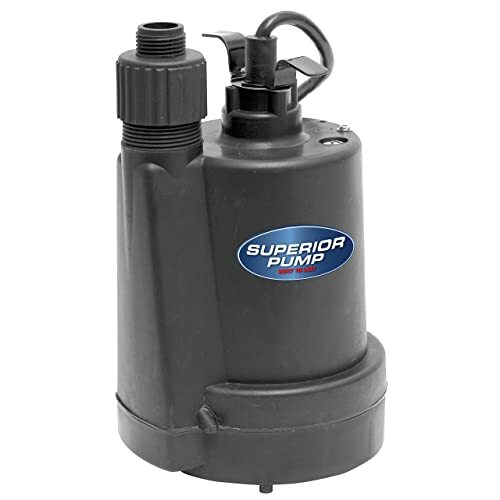 This submersible sump pump from Superior comes with a thermoplastic exterior casing. The M98 is made entirely with cast iron for its exterior casing. This ensures that heat generated is rightly dissipated. This is one of the powerful sump pumps from Liberty. The pump is made with cast iron as its housing material. Using the above stated heat generating characteristics of these sump pumps, you should ensure you choose a pump with cast iron as its housing material. While it's ok to have a pump with a combination of steel and cast iron, care must be taken to ensure what part of the pump the cast iron is located. As long as the motor and impeller region are covered with cast iron, the pump has less issues with heat related problems. Unless you're planning to work with a very low budget when getting something as important as a sump pump, you should generally come across pumps with better float switch type like the arm actuated switch. In pumps that are by far inexpensive, a float system which has the switch as a ball on a wire float. The problem with these ball on a wire float system is that it is too cumbersome. The float system would need enough room to operate perfectly. This would definitely not work well for a pump being placed in a sump. This pump usually doesn't come with a float switch. It's more or less tethered. A float switch can be bought as an added accessory to help improve it's performance. The Zoeller M98 comes with an automatic vertical float switch in place. This allows it to effectively drain sumps, irrespective of the volume of water. This pump comes with a Vertical Magnetic Float (VMF) switch. Unlike other float switches, the VMF can be used in closed spaced sumps. By it's design, the float switch is placed very close to the pump. While the vertical switch no doubt is the best thing to have ever happened to pump switches, I'm more drawn to the working of the VMF in particular. The Zoeller M98 is a beast on its own but when it comes to switch types, the Liberty Pumps 257 1/3-Horse Power 1-1/2-Inch Discharge 250-Series Cast Iron Automatic Submersible Sump/Effluent Pump with VMF Switch wins it for me. Some sump pumps come with intake screens that are designed to screen off dirt particles. While this may seem good on its own, many pump professionals actually go against it. The obvious reason is because the screen get clogged overtime with mud and dirt. A clogged intake screen does more harm than good to the pump. It makes the pump work extra which affects the overall service life of the pump on the long run. Bottom suction design filters debris and removes water down to 1/8 inch of surface and passes up to 1/8 inch solids. The Zoeller M98 doesn't have any intake details on it's construction. This ensures there is not possibility of clogging by mud and dirt particles. This Liberty pump has no intake details in its construction. This makes it an ideal pump for sumps with high water volumes. To get the best out of a pump you intend installing in your basement, you'd need one that you wouldn't need to bother about during a flood. One that won't run the risk of getting clogged and overworking the pump generally. The Zoeller M98 and Liberty Pumps 257 1/3-Horse Power stand out among these pumps reviewed. While most of today's pumps operate with a 2-pole motor, a 4-pole motor is what is designed into the best sump pumps in the market today. When it comes to speed, the 2-pole motor spins faster than a 4-pole motor. Irrespective of this, the 4-pole motor has twice the torque of a regular 2-pole motor. Although it spins half the speed the 2-pole motor, the 4-pole motor produces the same pumping power. What this means in simple terms is that the 4-pole motor has a better and longer service life than the 2-pole motor. This is yet another 2-pole sump pump. It has great pumping power and an amazing working performance. The Zoeller M98 is powered by a 2-pole motor. 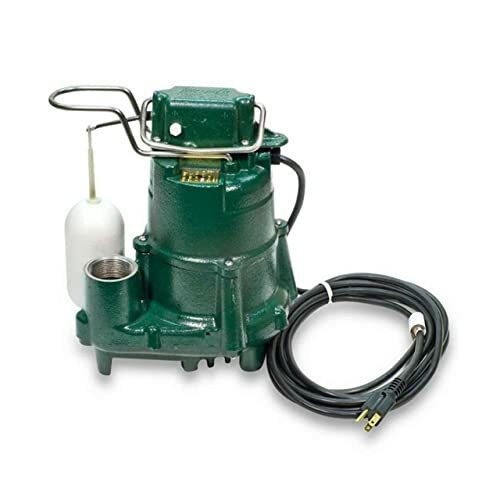 This heavy duty sump pump has the ability to take on high purpose draining operations. This sump pump also runs on a 2-pole motor. Most sump pumps are usually run by a 2-pole motor. From the comparison above, all five pumps are fitted with a 2-pole motor. Just in case you're looking to buy a new pump, always choose the 4-pole motor if it's readily available. Not in the list of five best sump pumps, but we recommend you the best sump pump with 4-pole motor. From the comparison made above, one can clearly see that there's no one pump that have all of the features in them. The Zoeller M98 is sure a machine among the others, when we put its service life into perspective. Professionals would always advice new users of sump pump to settle for Zoeller pumps. They're extremely rugged and can serve as a good basement flood prevention tool. In areas of high ground water level, sump pumps are ideal to help prevent flooding of the home. These pumps come basically in two types – pedestal and submersible pumps – and their use is dependent on economic reasons and personal preference. 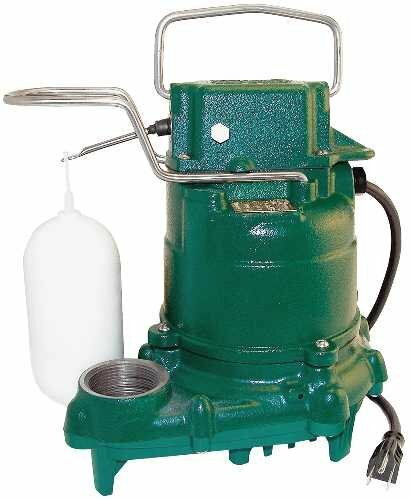 There are quite a number of these sump pumps available in the market under different brand names. While they have the same general function, some differ in operation and price. Having the best sump pump at home is also as important as choosing the right kind to suit your needs. There are certain factors one would need to consider before buying any of the sump pumps. For more information, you can read more about zoeller sump pump and wayne sump pump which are big brands about pump with many people count on it and look for it everyday. By the way, we also provider very useful information about best pool pump for your swimming pool.